The modern concrete structure was completed in 1966. 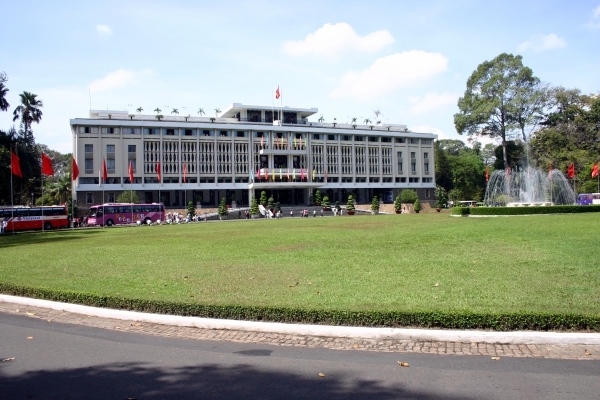 Its construction was required when planes from South Vietnam's own air force bombed the old palace built by the French in an attempt to assassinate the then president. 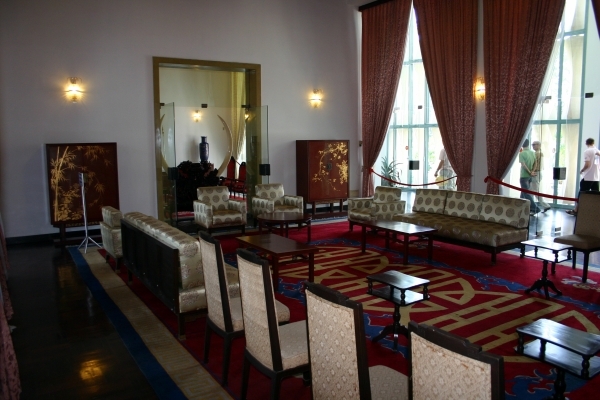 The building has been preserved more or less as it was back in 1975, so you can visit the President's office, cabinet room, banquet halls and other rooms belonging to both the public and private areas of the building. In the basement there are also bomb shelters, tunnels and war rooms. The building is open from 7:30 to 11:00 in the morning, and from 1:00 to 4:00 in the afternoon. Admission is 20,000 Dong (-20,000.00 USD), with a brochure costing an additional 5,000 Dong (-5,000.00 USD).